I would not be here if it wasn’t for a Black Standard Poodle! My mother was Dutch. When she was in her late teens my mother lived with a family that owned and trained Standard Poodles for the circus. She always told me how smart and in tuned Standard Poodles were with their humans. She loved Poodles of all sizes, but she especially loved the Standard Poodle and often would go places with a Standard Poodle at her side. This is how she meet my father. We had many dogs while I was growing up, however, we never had a poodle, small or large. I do not really know why; my mother is not here any longer for me to ask her. It could be that my father, like so many people, had a prejudice toward Poodles. At any rate she often spoke of the Standard Poodles in her life, how easy and fun it was training them. She would speak of their beauty, grace and intelligence. 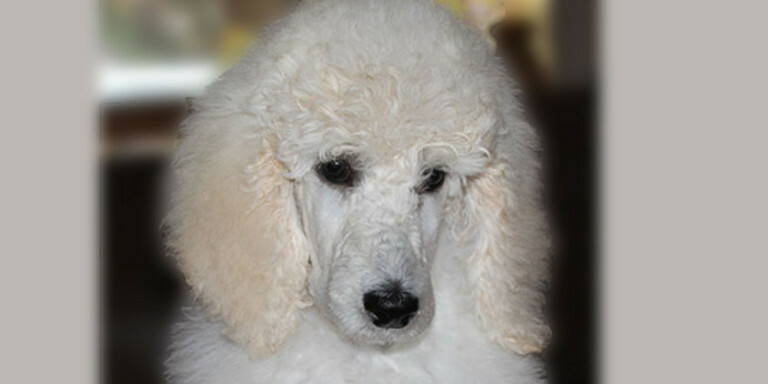 As I mention, I know longer have the company of my dear mother, however, one day, remembering with fondest all the stories of those wonderful Standard Poodles, I decided I wanted one. Wanting one and finding one to purchase was two very different stories. I finally found a breeder and purchased my first Poodle. Mojo is his name; MOJO – meaning ‘Influence Me’. And influence me he did! My mother was a hobby breeder. My family is from farming and breeding background. So it came quite natural for me to start breeding my own dogs several years ago. I have been an accountant, tax consultant, CFO, administrator, etc. However, my love has been working with animals. Those who know me well, know that if I am going to do something I am going to do it right! Having breed different breeds of canines did not automatically make me qualified to start breeding a new breed of canine. I really did not know anything about Standard Poodles. So the research started. 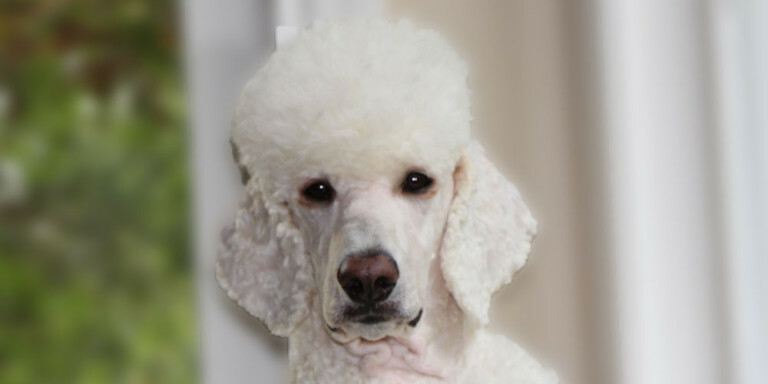 Standard Poodles are not like any other canine that I every knew. There was so much to learn. The Poodle community is a very tight community and it was hard entering it. I did not really want to Show, which if I was younger and had the energy that goes along with youth, I may have loved to Show. However, at this juncture of life my pleasure was to produce a beautiful canine that would make a wonderful pet. Yes, BEAUTY and PET had to go together. That means that I breed for Temperament first, but Beauty must follow. I knew what Prize animals and meeting the Standard of a Breed and what health testing meant. Also I knew that a responsible breeder of ANY animal only breeds the best of the best. So it was with a sad heart that after all of Mojo’s health test that I realized that he did not meet the premium standard that I set for all my canine breeding. Also, after I found some Poodle mentors, who were Show breeders, I also realized that Mojo did not meet the Standard for Poodles. To make a long story short, I did lots of research; hunted for the right lines and finally found a male and two females that not only have great pedigrees but also came from strong healthy lines. And bonus of all bonuses they have great personalities. You will see many pictures of Mojo. He is after all one special Poodle in my life. Mojo is a wonderful ‘uncle’ to all our babies and loves the grandchildren and all the canines that come through his life. He is a nurturer of both canines and humans. So very intelligent and in tuned with our feelings. 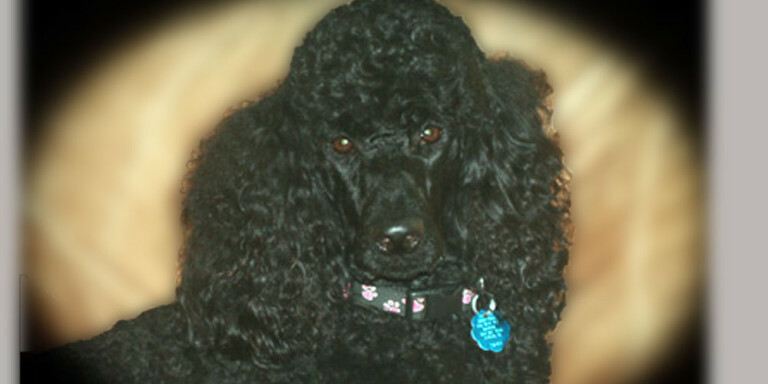 Mojo has one of the best personalities that Poodles are known for.